Camping Campéole Navarrosse es un camping en Biscarrosse, Landas, situado en el bosque, del río/arroyo y al borde de un lago/estanque de recreo. El camping tiene plazas con sombra, sin sombra y parcelas con algo de sombra. Camping Campéole Navarrosse se encuentra junto a una playa de arena. Cabe alquilar tiendas de campaña, caravanas fijas y bungalós. El camping dispone de parque de recreo. Para los excursionistas, el camping ofrece varias rutas para bicicleta. Hay un programa de animación. En los alrededores, podrá nadar en un lago/estanque de recreo. En el Camping Campéole Navarrosse se autoriza windsurf. Este inspector visita cada año al Camping Campéole Navarrosse y lo inspecciona considerando más de 200 servicios y otros aspectos importantes. El inspector es un trabajador de ACSI y no trabaja para el camping. Friendly helpful staff on a site with its own private beach on the lake with safe bathing as shallow water for long distance off the beach. Most pitches either mobile homes/fixed tents. Out of high season only one of the three sanitary blocks are open, long walk from the far side of the site. We had best touring pitch no.79 right on the beach in a quiet corner but you need a 25m hook up cable which will cross a lightly used vehicle access. Good for water sport campers with temporary marina mooring available. It took 40 minutes to book in. We were allocated a pitch but told if we didn’t like the one allocated we could pick another and tell them the number. The one they chose was unshaded and sandy, we therefore picked another shaded pitch. The motorhome was nicely positioned and so I went to tell them the number. The manager kicked off…we should have taken the one allocated. I told her we needed shade to keep my insulin cool. I also complained about the bureaucracy and time spent booking in. She suggested I wasn’t understanding and that the pitch I’d chosen was unsuitable for motorhomes. I told her to look at the pitch I was on, it was perfect, the site was empty and we were only staying one night so what was the problem. She wouldn’t have it we would have to move to one for motorhomes. I tried to explain about the insulin but she just said that she couldn’t understand me and turned her back.We moved to another pitch but we will never return. The toilets on this site were immaculate. They were cleaned at least three times a day when we were there in September. The price was very good (plus tourist tax). The lakeside beach is not public and the water was clean, warm and very shallow. You can walk out for probably 100 metres! It was ideal for children. This more than makes up for the site not having it's own pool although one is shown in ACSI book??? but fort that price what do you expect. No hesitation whatsover in recommending this site - it was great for us in September, a nice quiet break. Also the cycle network there is excellent. ¿Desea reservar u obtener más información sobre su camping Camping Campéole Navarrosse? Puede hacerlo mediante los datos siguientes o a través de la web del camping. Desde Biscarrosse dir. Biscarrosse-Plage, Sanguinet y Navarrosse. 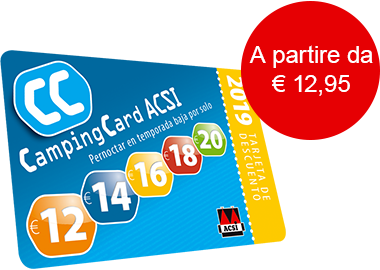 ACSI Eurocampings reenvía su solicitud de información al "Camping Campéole Navarrosse".